The symbol of American patriotism has returned as strong as ever. In 1950, there were just 412 nesting pairs of bald eagles - the country's emblematic national bird since 1782 - in the United States. 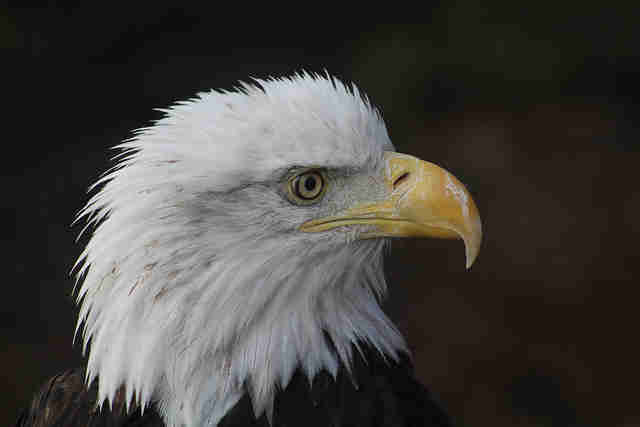 Now, thanks to aggressive conservation efforts, there are more than 69,000 eagles, wildlife researchers told CBS News. 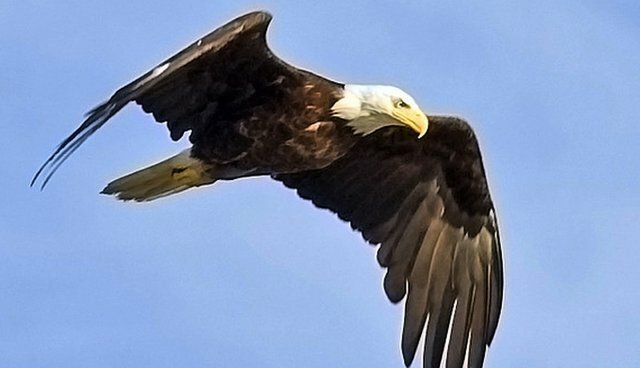 "It's hard to step away from the fact that they are our nation's symbol and knowing that they've now come back from the brink," Patti Barber, a Pennsylvania Game Commission biologist, told CBS. "I think a lot of people have a lot of pride that we managed to do that." 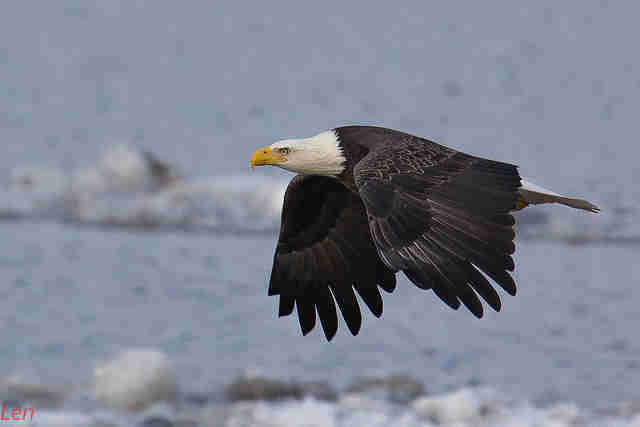 Massive pressure from hunting drove down bald eagle populations in the 1800s and 1900s. Then, DDT, a dangerous pesticide that was used heavily in agriculture in the middle of the 20th century, brought bald eagles to the brink by causing a thinning of their egg shells, which caused chicks to die. The effect was so severe that some feared the species' complete extirpation from the country. But DDT was banned in the U.S. in 1972, and hunting abated, paving the way for bald eagles to come back - and come back they did. In addition to DDT being outlawed, laws were introduced to restrict hunting and trading eagle products, while violators were slapped with hefty fines. In 2007, the species was removed from the federal endangered species list, though it's still included on some state lists. It's not that it's smooth sailing - er, flying - just yet for bald eagles. While their population has expanded, their habitat hasn't. They're losing valuable habitat in many areas, leading to injuries and mortality as they vie for space with commercial and residential developments. That's not all - according to Defenders of Wildlife, illegal shooting of bald eagles is still the biggest threat to their survival. See this page for more information on how you can help bald eagle populations recover.